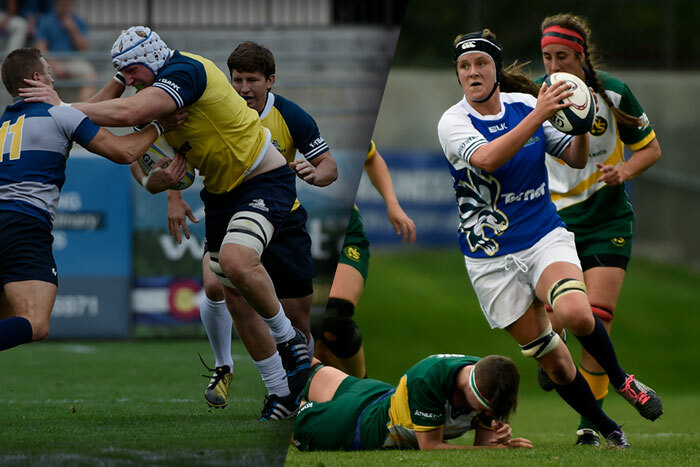 Rugby action returns to Infinity Park this weekend with another full slate of games featuring both the men’s and women’s Glendale Merlin sides. The Glendale Merlins Elite Men’s Team will face stiff competition this weekend, facing off with the visiting East Coast powerhouse Mystic River (3 p.m.) in a non-league match. Like Glendale, Mystic River is a team loaded with quality. Most notable is the presence of 34-year-old Fullback Robbie Malneek, a legend with over 100 appearances for New Zealand provincial union Tasman Rugby Union. As the Glendale Raptors, Glendale beat Mystic River by a score of 22-16 back in May. Now reborn as the Merlins, Williams’ side will once again look to be the victors. Having come off a dominant 41-7 home win over the Ontario Arrows earlier this month, Glendale hopes to continue to build momentum. Following the men’s match, the Glendale Merlins women will take to the pitch, closing out a rugby double header in the stadium at Infinity Park. With a bye week from Women’s Premier League (WPL) play, the Merlins women will look to keep sharp as they host collegiate powerhouse Lindenwood University in a non-league friendly match (5 p.m.). While the team has started strong with a 3-0 record in WPL to start the season, this weekend’s bout with Lindenwood offers the opportunity to stay fresh and test out some up and coming talent within the team. In facing Glendale, Lindenwood continues to build a program that has aspired to be one of collegiate rugby’s best in recent years. Lindenwood lost out narrowly, 28-25, in the USA Rugby Division I National Championships to 12-time champions Penn State this past May. The stadium gates open at 2 p.m. on Saturday and tickets are available online or at the gate. Outside of the stadium match ups and on the Infinity Park Turf Field, we have the undefeated Glendale Merlins U20 Men taking on the University of Denver (1 p.m.) and the Merlins D1 Women facing Lindenwood’s second team (3 p.m.).